Marty the robot (about 500 models of him) will be deployed this year to every Maryland, Virginia, Pennsylvania and West Virginia Giant location to work alongside employees. 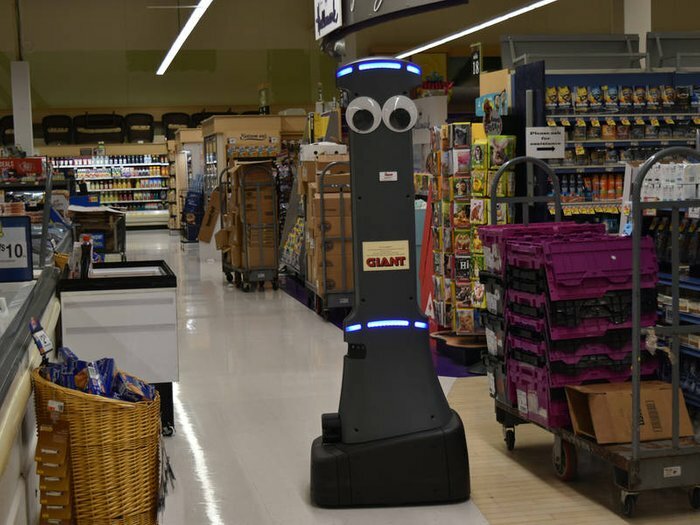 All 172 Giant grocery stores will have “Marty,” a tall, thin, gray robot with googly eyes, to work alongside staffers. The robots will move around the store unassisted identifying and reporting hazards such as spills for quick cleanup. Giant officials said that the robots work will free up associates to spend more time serving with customers. Over the past year, the grocery chain has been testing Marty and the in-store robotic program in its stores located in Harrisburg and Carlisle, Pennsylvania. Kids might want to go to Giant now!